Here’s the scenario (from the wonderful website, Heirloom Gardener): A garden overflowing with tomato-laden plants, which is nothing short of a palatable paradise. Brilliant red tomatoes weighing down the branches with their bounty, while green tomatoes await their turn for the spotlight. But into this happy garden picture arrives something decidedly unwelcome: an early frost that abruptly ends the growing season with a blast of frigid finality. What’s a disappointed gardener to do with dozens of hastily picked (yet unripe) green tomatoes? University of Iowa research shows that green tomatoes contain a compound that helps build muscle (and protect against future muscle atrophy). 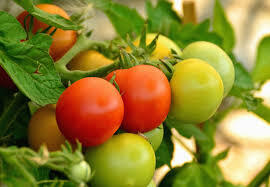 Green tomatoes are low in calories (one large tomato is about 42 calories). They’re high in vitamins and minerals (Vitamin C, A/beta carotene, and K, calcium, magnesium, phosphorus, and potassium). Green tomatoes are high in fiber. They’re loaded with water (helping with hydration). 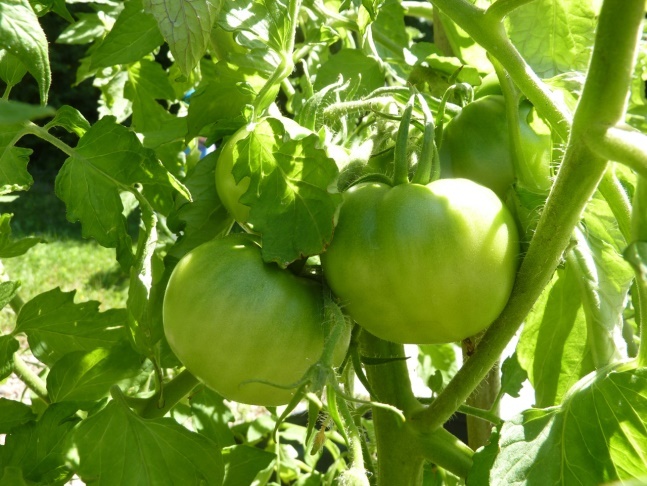 Health benefits aside, gardeners down through the years have always faced the question of “what to do” with unripe green tomatoes at the end of the growing season. (Generations of children have had the same clever answer — wait for a freeze, and then have a stinky tomato fight!) A Bloomington, Illinois, newspaper from 1852 recommended using “a pailful of green tomatoes” to create a dish called picadilla, while an 1858 Nebraska newspaper noted that “green tomatoes make good pies,” especially when baked with molasses, rhubarb, or green apples. Even Laura Ingalls Wilder reminisced about harvesting green tomatoes after an early frost in her Newbery Honor-winning book, The Long Winter. In it, Ma Ingalls cooked up unripe green tomatoes with vinegar and spices to create green tomato pickles. 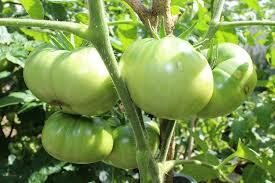 But in addition to being very healthy, green tomatoes can be used in wide variety of delicious recipes. 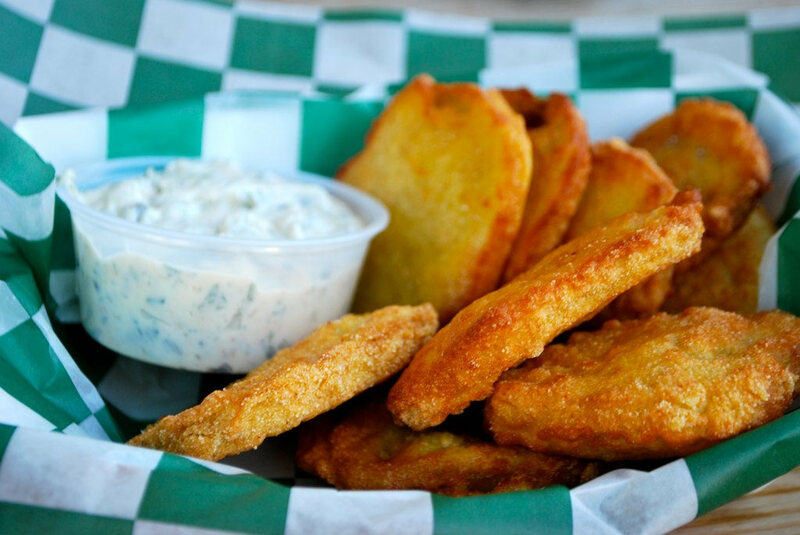 The first go-to is fried green tomatoes, right? However, there are several other (perhaps lesser-known) possible uses for your glorious green tomatoes, including breads, soups, sauces, relishes, cakes, jams, the aforementioned picadilla, and more. When choosing green tomatoes for cooking, it’s best to select those that have achieved their mature size and are almost, but not quite, ripe. The unripe green tomato retains an overall firmness. Storing them can be a challenge, as quality tends to deteriorate quickly, but temporary storage in a cool (55 degrees Fahrenheit) place will often suffice, especially if the humidity is moderate. And the list goes on. I wish I had the space and you had the time for me to share the recipes for all these ideas. But you can find recipes for all these suggestions at www.allrecipes.com, and being the Cook’n experts that you are, you’ll be sure to load your favorites into your Cook’n files. So I’ll close with the allrecipes Green Tomato Pie. 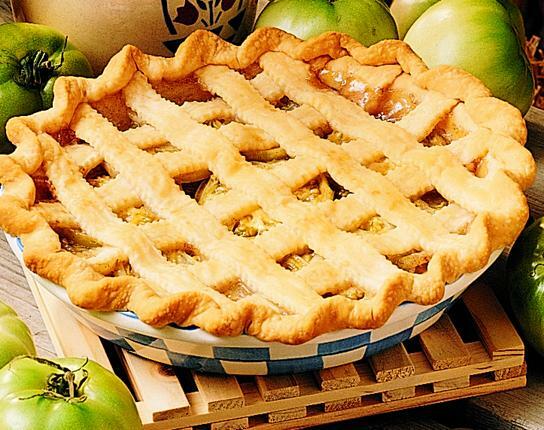 There are many recipes for this pie (including on our DVO website), but here’s another that uses solely green tomatoes (no green apples, no rhubarb, etc.). From the 46 reviewers, the final rating for it is 4 stars. Pretty darn good! 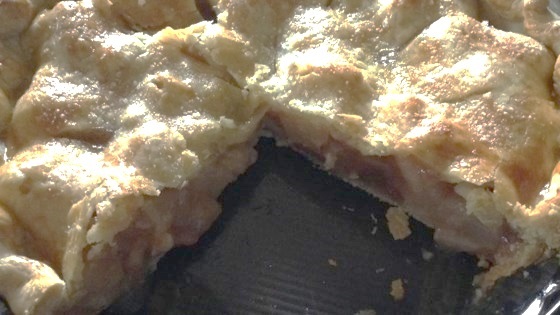 In fact, the recipe creator, Pam, summed it up: "Tastes like the best apple pie you have ever had. Make people guess what it is! They will want another slice."